In Los Angeles, nearly all of the city’s officially-designated ethnic enclaves are for Asian ethnicities. Eurasia’s Armenian community has Little Armenia and Russians in eastern West Hollywood have earned it the nickname “Little Russia” but French Town, Greek Town, and Little Italy have all faded into assimilation and obscurity albeit acknowledged with the odd street name, remnant business, or cultural festival. 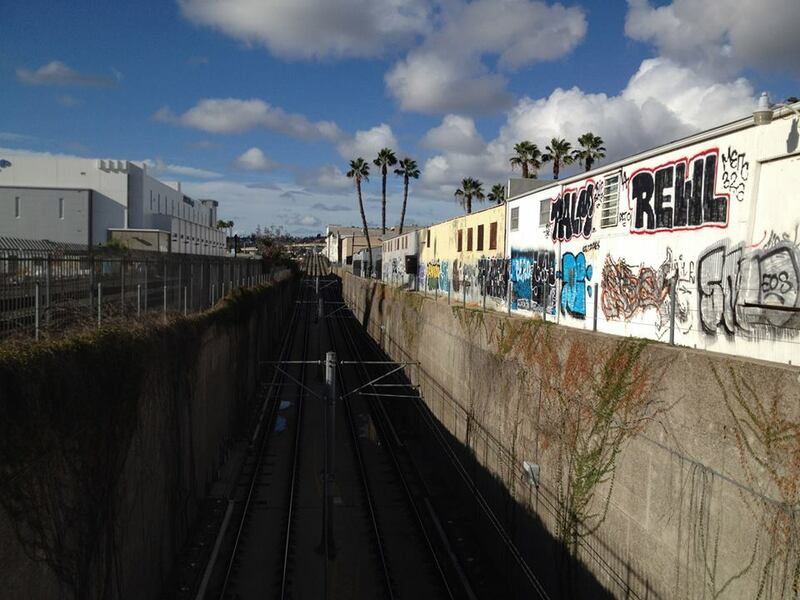 Last year I explored what remains of Los Angeles’s Little Italy, in the process visiting a cultural center, a few markets and delis, a church, and an old restaurant — Little Joe’s — which was despite its historic importance unceremoniously demolished a few months ago to make way for another Chinatown plaza. I suppose that these experiences coupled with my near complete unfamiliarity with San Diego fueled my preconceptions about San Diego’s Little Italy, which I explored and found neither to resemble Los Angeles’s historic enclave nor the Little Italy of my uninformed imagination. 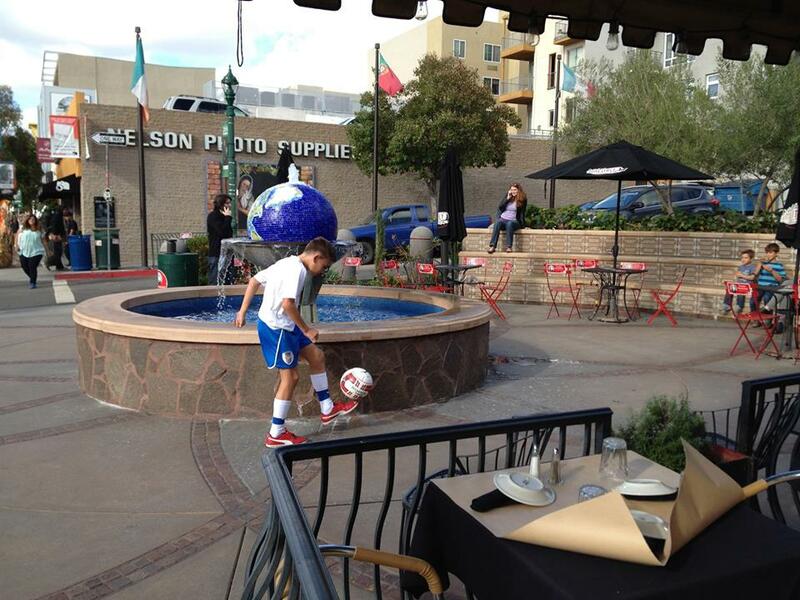 Little Italy is located in the northwest end of Downtown San Diego, just a few blocks inland from the Embarcadero. According to most sources the borders of the Little Italy are formed by West Laurel Street to the north, West Ash Street to the south, Interstate 5 and Front Street to the east, and the Pacific Coast Highway. 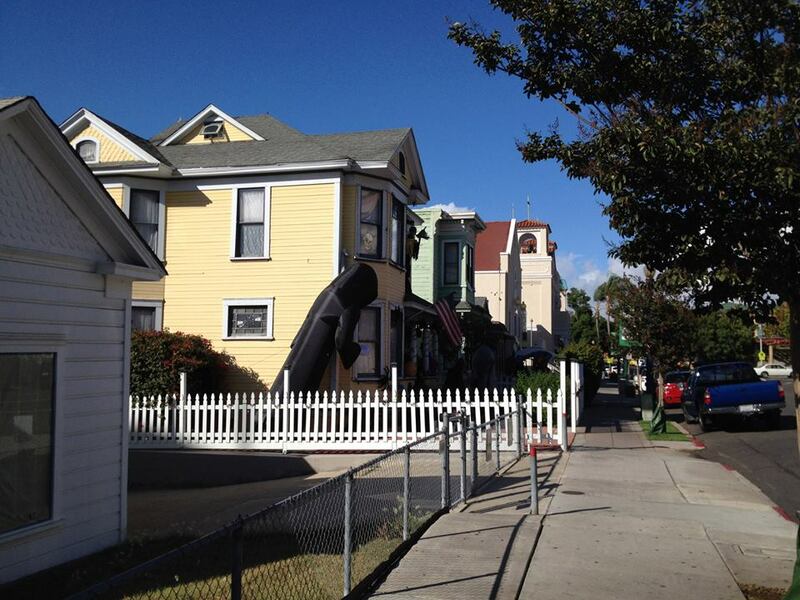 Little Italy’s neighbors are Bankers Hill, Civic Core, Columbia, Cortez Hill, and Mission Hills. 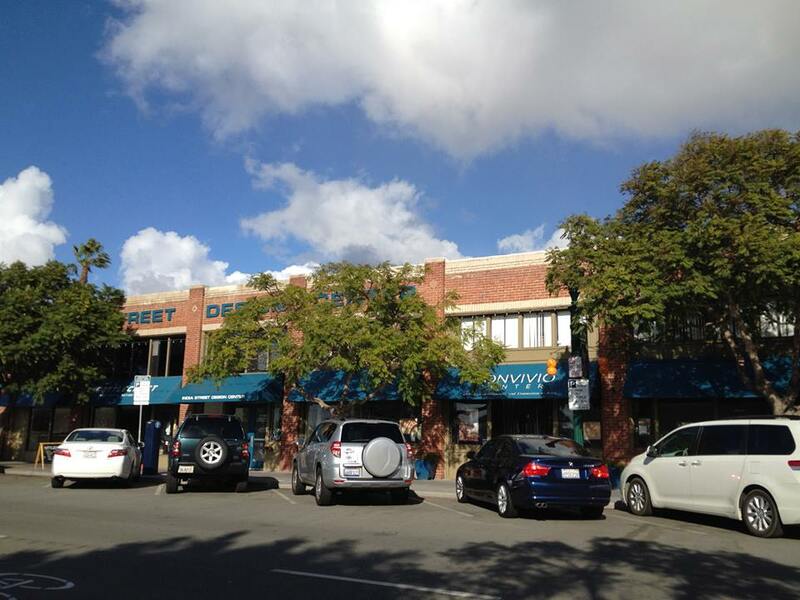 The main commercial corridor of the neighborhood is India Street. Humans have continuously inhabited the shores of San Diego Bay for at least 12,000 years. By the time Juan Rodríguez Cabrillo arrived in 1542 and claimed the lands for Spain, they had been home for thousands of years to the Kumeyaay nation. In 1769, Gaspar de Portolà established the first European settlement in what’s now California, Fort Presidio of San Diego, and that same year, Mission San Diego de Alcalá was founded by Franciscan friars. Some of the Californios living in Alta California during the period of Spanish rule were of Italian ancestry, including José María Bandini, a sea captain born in Cádiz, Spain. During the Mexican War of Independence he delivered supplies and troops to the presidios in Los Angeles, San Diego, and San Francisco. After Mexico achieved independence he and his son, Juan, settled in San Diego. 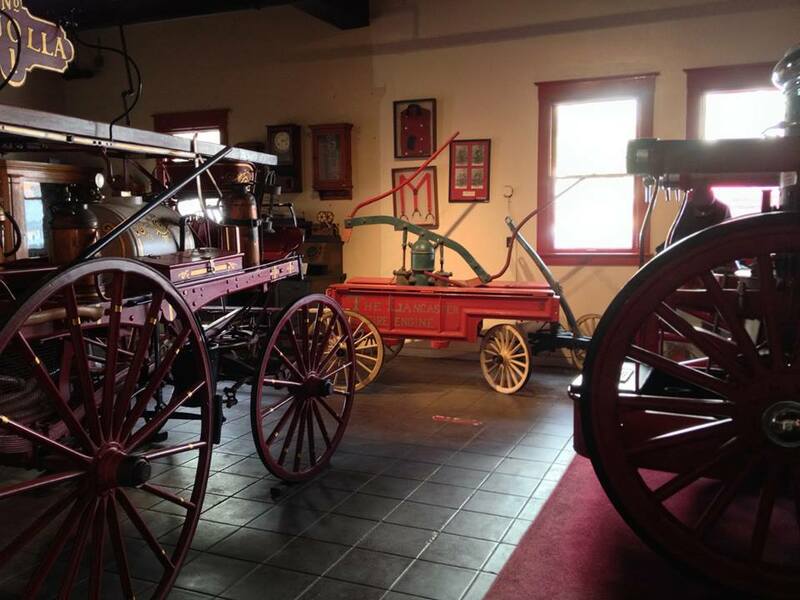 In 1827, Juan and his brother-in-law were granted land in San Diego and in 1829 they completed construction of the Casa de Bandini — which was later converted into the Cosmopolitan Hotel, still located (although much altered) in Old Town. From 1846 until 1848, the US conquered a huge portion of Mexico’s territory. In 1850, California became one of the United States of America and San Diego was both incorporated and designated the seat of the newly established San Diego County. The first Italian Colony in California was established in San Francisco’s North Beach, where most Italians were engaged in fishing — mostly cod, halibut, and sardines. In 1871, an article in the San Diego Union mentioned the presence of Italians in the San Diego but by most accounts the “Italian Colony” truly emerged in 1890s. 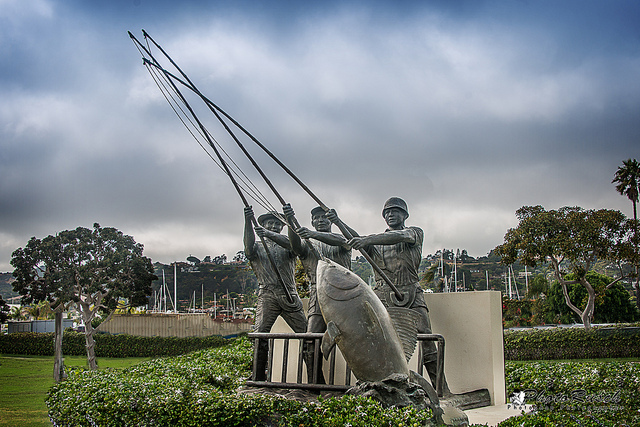 In the final decade of the 19th century there was a small fishing village in San Diego — most of whose fisherman were Genovese or Sicilian — although there were Azoreans as well. In the first decade of the 20th century civil unrest and the outcome of the First Italo-Ethiopian War led to increased emigration and the Italian-American population of California tripled. 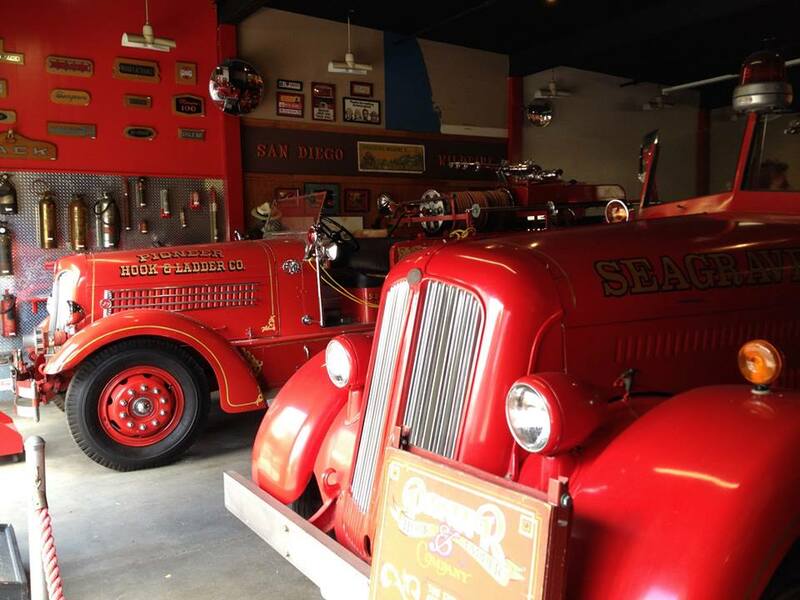 Following the 1906 San Francisco Earthquake and ensuing conflagration, many Italians living in San Francisco relocated within the state to San Diego. I suspect that some Italians made their way to Los Angeles too — where there was a vibrant Italian community albeit one situated far from the coast and more associated with wine production than fishing. San Pedro, formal point of Los Angeles County’s fishing industry, was and still is home to many Italian-Americans, but was not then part of the city of Los Angeles. 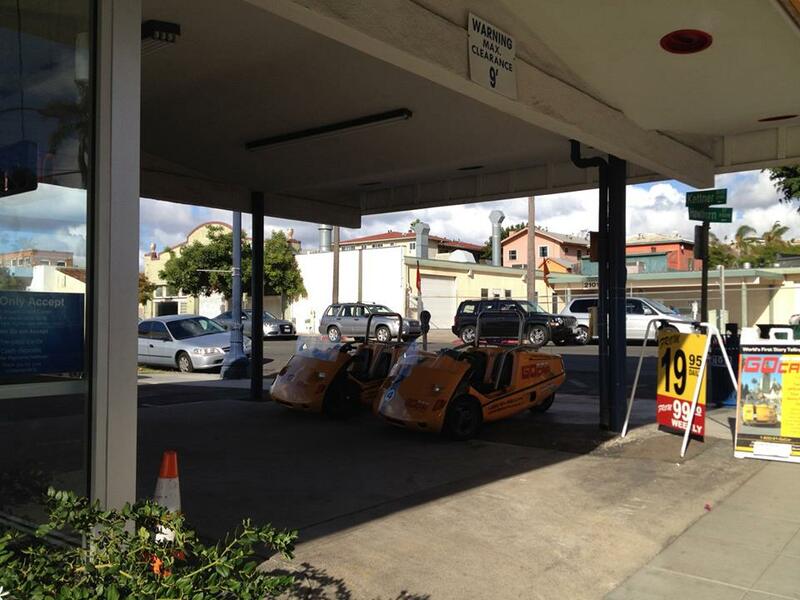 Their numbers increased and combustion engines increasingly common, fishing operations in San Diego expanded greatly. Almost immediately several non-migratory fish species were driven into local extinction. Gas and diesel-powered fishing boats expanded their hunt into deeper waters in search of larger prey, namely tuna. Although the animal was until then considered a “trash fish” by most Americans, new processes were developed to diminish its pungent taste and promoted for its blandness, tuna grew more popular. The first local tuna cannery, the Pacific Tuna Canning Company, began operation in 1911. As tuna became scarce, fisherman ventured further from San Diego and the Mexican government eventually took legislative action to protect its waters from Californian fishermen. Partly as a result, a growing number of Californian canneries turned increasingly to Japanese imports for their meat. After the US entered World War II, most large tuna boats in San Diego were requisitioned by the Navy. Although territorial fishing limits were relaxed as the war approached its conclusion, Japanese imports continued and even as tuna overtook salmon in popularity, local tuna operations continued at a much smaller degree. By the 1980s, the last of the canneries was closed. In 1988, Franco Vianello’s bronze sculpture, Tunaman’s Memorial, was dedicated on Shelter Island. 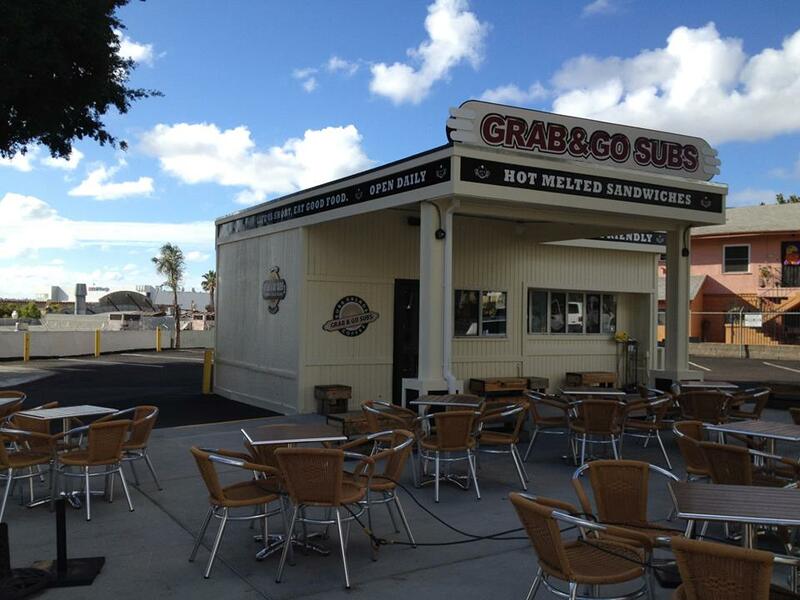 Another blow to Little Italy came not from the sea, but the freeway. Construction of the 5 began in the 1950s and the noise, pollution and displacement it wrought resulted in Little Italy’s further diminishment. 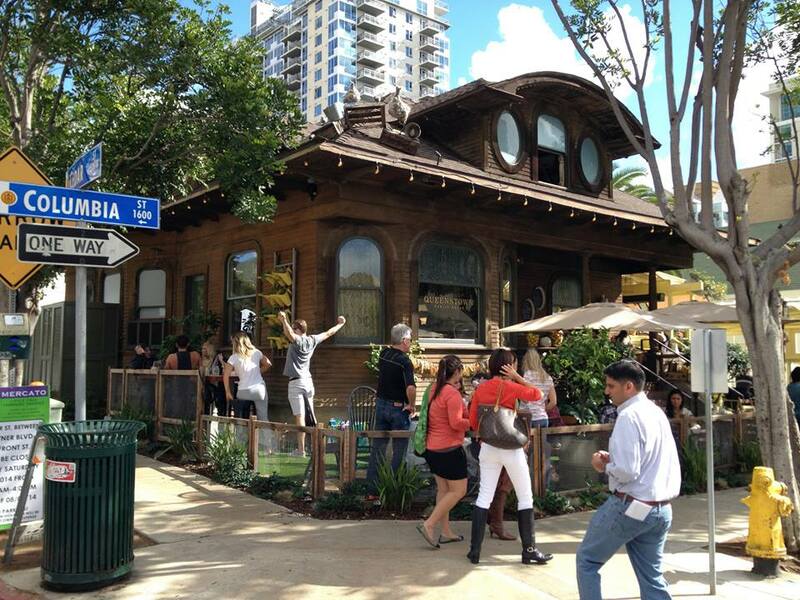 As with most American cities, downtown San Diego (including Little Italy) was characterized by most as being in decline during the 1970s and ‘80s. 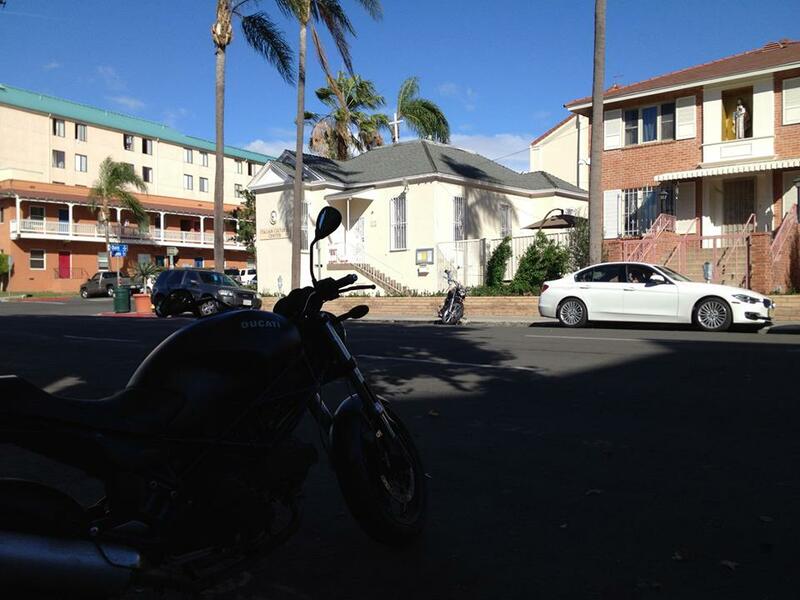 In part to reverse the community’s moribund course, the non-profit Italian Cultural Center of San Diego was established in 1981. 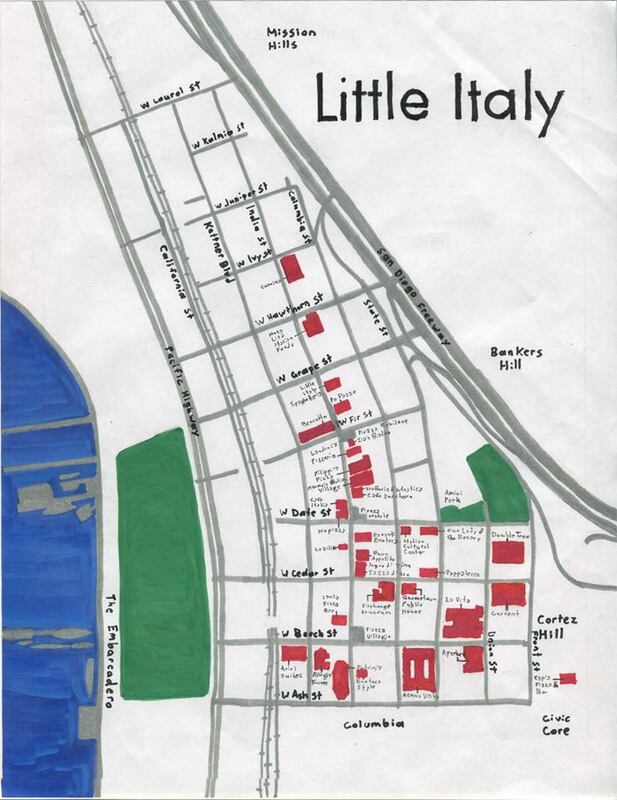 Further efforts to revitalize Little Community followed, including the establishment in 1996 of the Little Italy Association. The fact that the neighborhood is still largely dominated by a preponderance of sea green and mauve apartment buildings leads me to believe that a lot of low-rise construction occurred in the same decade. Luxury loft in Little Italy, San Diego. There are much more striking examples of architecture in Little Italy, mostly built within recent years. 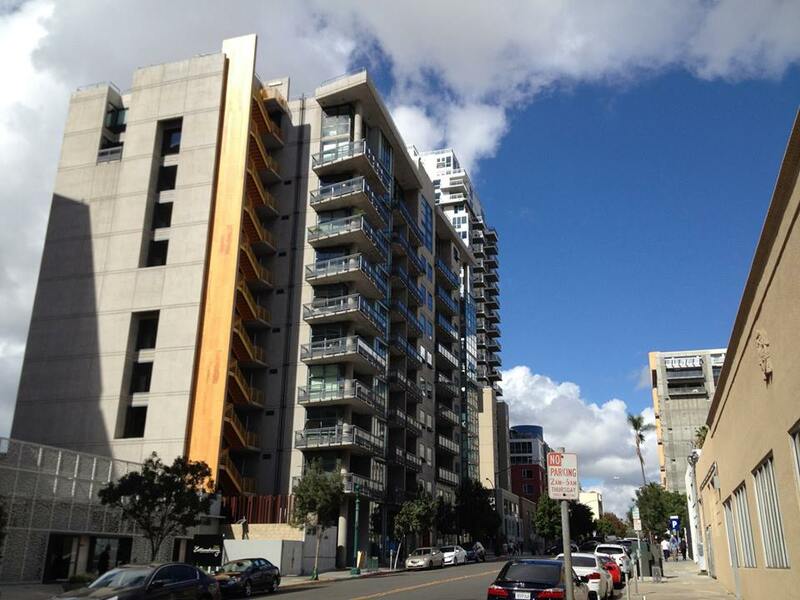 Although the 19-story 610 West Ash Building was completed in 1986, most of the taller residences like the 18-story Acqua Vista Apartments (2004), 24-story La Vita Little Italy (2005), 28-story Allegro Tower (2005), 11-story Aperture (2007), and 15-story Front & Cedar (2009) were completed in the 2000s. Construction of residential high-rises continues, the most recent example being the 22-story Ariel Suites (2014). 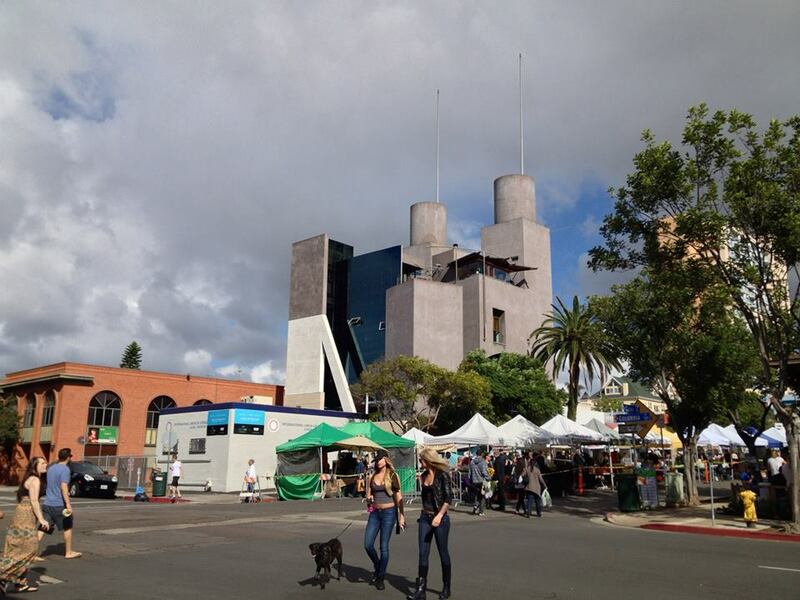 Every saturday from 9:00am until 1:30pm is the Little Italy Mercato, the neighborhood farmers’ market. I chose to come then, wanting to experience the neighborhood at its liveliest and it did not disappoint. Whereas the rest of Downtown seemed almost deserted and despite that fact that I didn’t see a single cyclist anywhere, at least the sidewalks of Little Italy were crowded with pedestrians. I was also pleasantly surprised that the Italian community was so in evidence — not only in the long-established markets — but in newer cafés and out on the streets, where I heard a mixture of Italian, English, Spanish, Tagalog, and Vietnamese. Apparently Little Italy didn’t vanish with the tuna industry, it diversified and flourished. I would wager that most visitors to Little Italy are drawn by the food and there are several Italian eateries and markets. One of the oldest, Filippi’s Pizza Grotto, grew out of Filippi’s Cash and Carry — which was established in 1950 by French-born Vincent DePhilippis and Italian-born Madeleine Stefani. Mona Lisa Restaurant was established in 1956 by Stefano Brunetto. Assenti’s Pasta was established in 1981. Buon Appetito was opened in 2003, by Antonino Mastellone and Daniela and Salvatore Caniglia, and based on the recommendations of friends is where I had lunch. 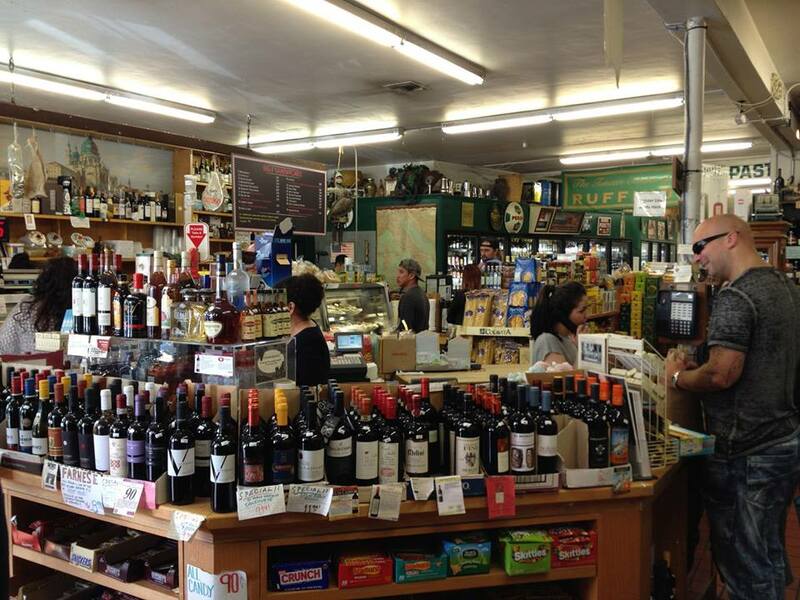 Other Italian restaurants, bakeries, delis, and cafés in Little Italy include Bencotto Italian Kitchen, Cafe Zucchero, Caffe Italia, Cookbook Tavola Calda, Davanti Enoteca, Enoteca Style, Isola Pizza Bar, Italian Village Deli & Bakery, La Villa, Landini’s Pizzeria, Little Italy Spaghetteria, Mimmo’s Italian Village, Monello, Napizza, Nose To The Grind, Panetteria, Panificio e Ristorante Solunto, Pappalecco, Petrini’s, Po Pazzo, Sogno Di Vino, Solunto’s Bakery and Deli, Tazza d’Oro, Trattoria Fantastica, and Zia’s Bistro. Queenstown Public House — not Italian but looks like fun! Washington Elementary was built in 1915 and next to it, Amici Park. The original school building was demolished and replaced in the 1970s. 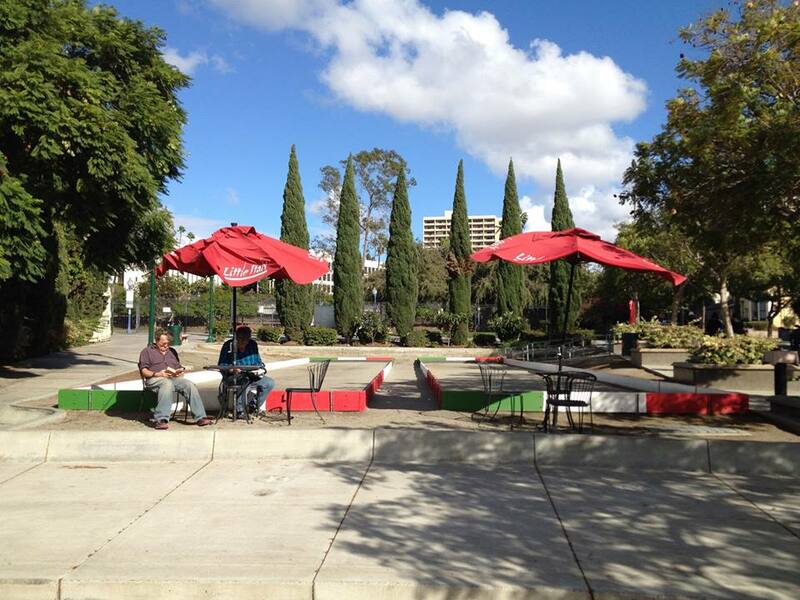 The park, which features bocce ball courts, a small amphitheater, and a large green, remains. During the summer months it hosts the Little Italy Summer Film Festival. 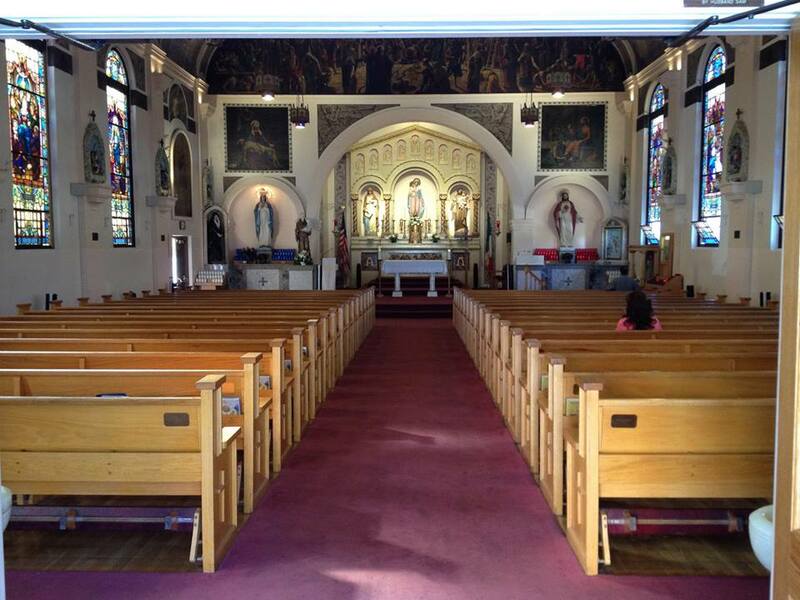 One of the oldest centerpieces of San Diego’s Italian community is Our Lady of the Rosary. A Salesian father, Fr. 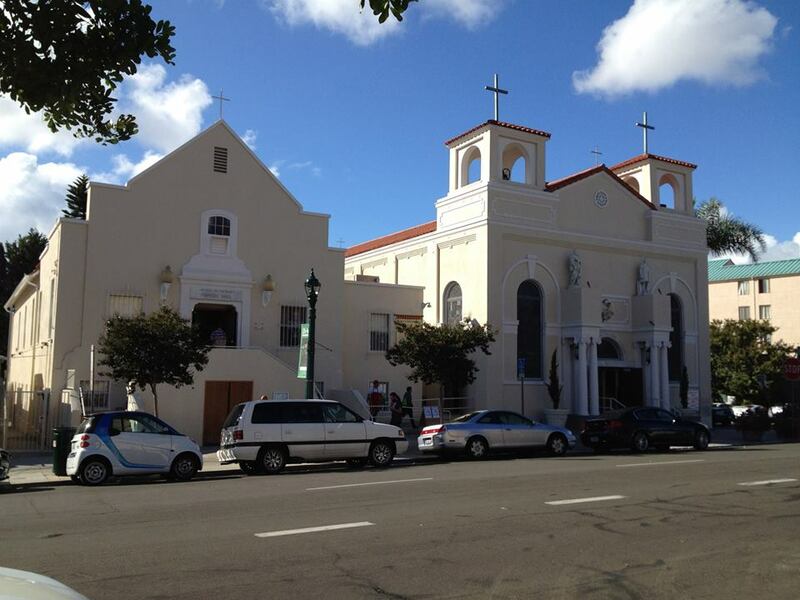 Sylvester Rabagliati, began to raise money to build a church in the Italian Colony in 1923. The church was completed in 1925. 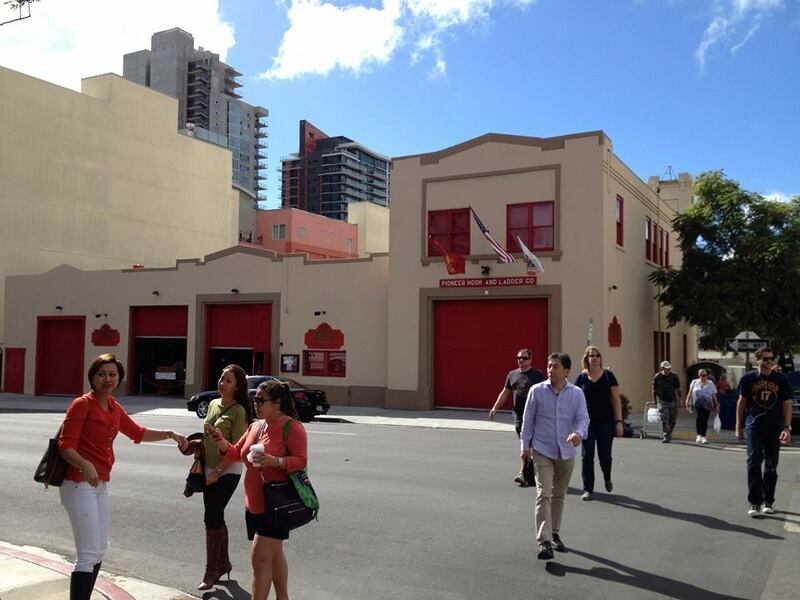 Although not specifically Italian, San Diego Fire Station No. 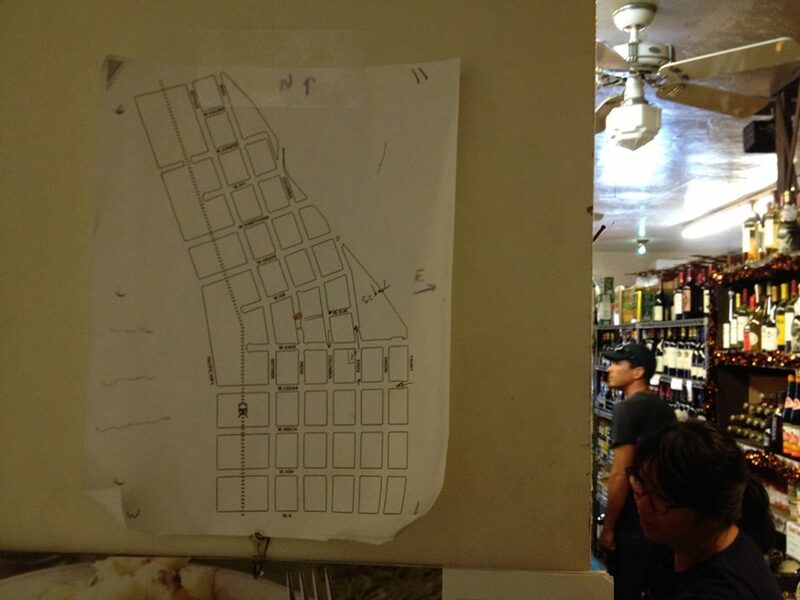 6, did serve Little Italy from 1915 until 1962, when they moved to the nearby City Operations Building in 1962. 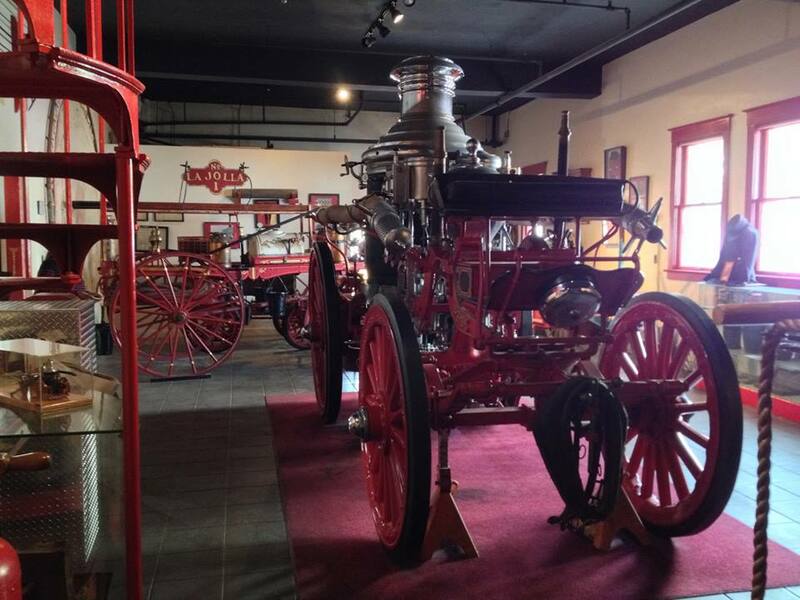 That year it was transformed into the Firehouse Museum, which has a collection of firefighting memorabilia dating back more than a century. In 2003, the Little Italy Association dedicated Piazza Basilone, memorial honoring John Basilone (a United States Marine Gunnery Sergeant who died in the Battle of Iwo Jima) and the “boys that never came home” from the World War II, Korea, and Vietnam wars. 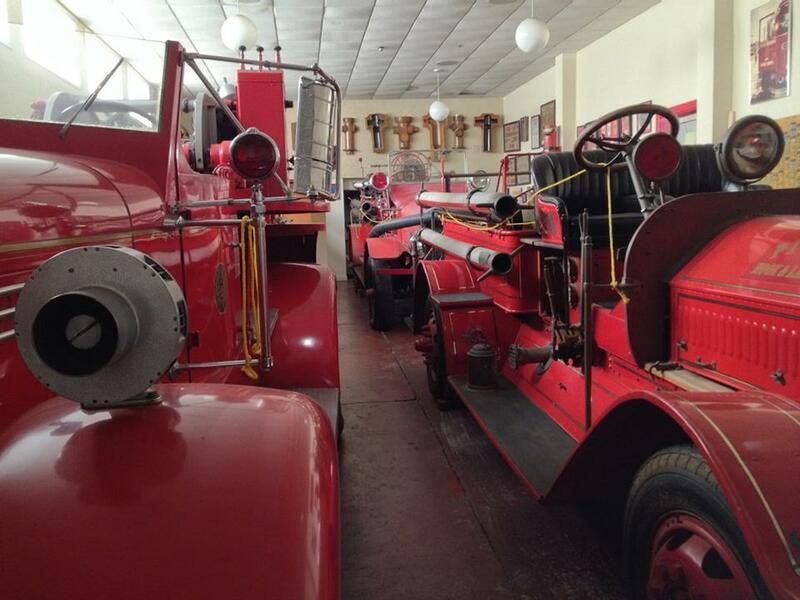 Perhaps the newest Italian point of interest is the Convivio Center & Little Italy Heritage Museum, a community center which, among other things, hosts the Little Italy Summer Film Festival — a showcase of Italian Cinema. Every year, on Lazarus Saturday, Little Italy observes Carnevale. 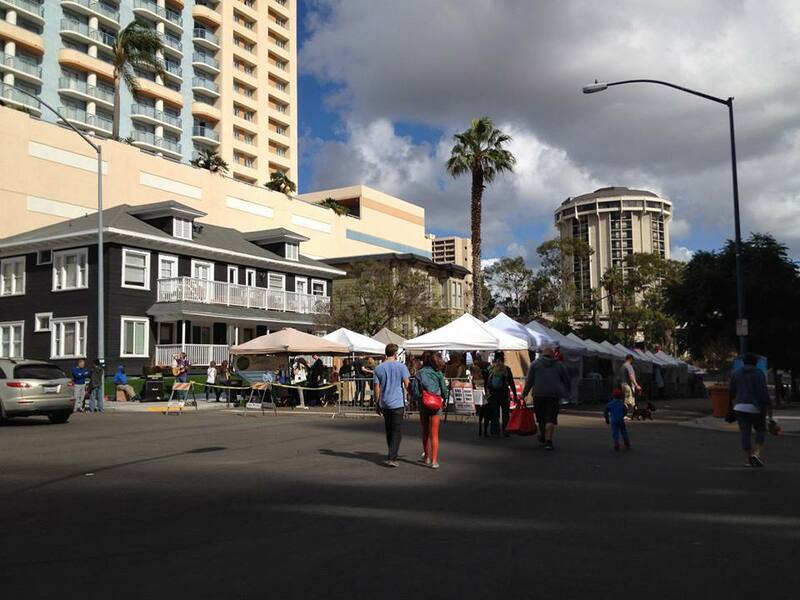 In April, there is the apparently quite popular ArtWalk as well as the Gran Fondo bicycle ride. In May, the annual Sicilian Festival takes place. In September there’s the Labor Day Stickball Tournament. In October there is Little Italy Festa, launched in 1994, which includes the Gesso Italiano Street Painting Festival and shares the month with a Lamborghini show, Bulls of St. Agata Charge Little Italy. Finally, in December there’s the Little Italy Christmas Village and Tree Lighting. 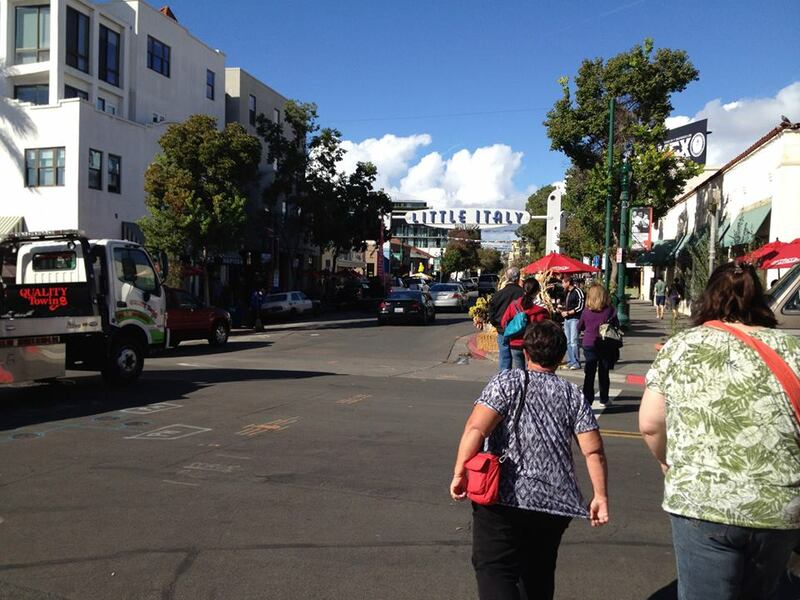 Little Italy is small, fairly flat, and easily walkable. It’s also fairly easily accessed with public transit. 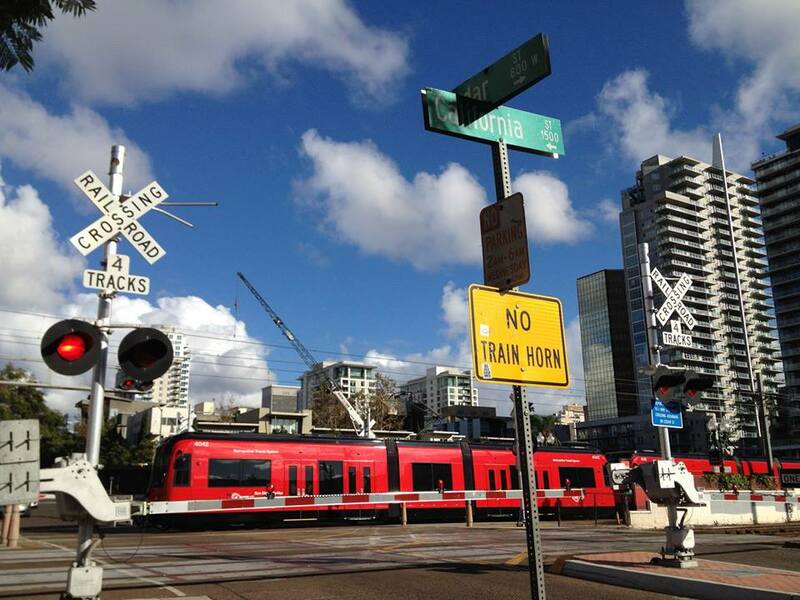 Just two blocks south of Little Italy’s southern edge is the Union Station (aka Santa Fe Depot) which is served by San Diego Metropolitan Transit System’s green Green and Orange Line trolleys, North County Transit District’s Coaster train, and Amtrak’s Pacific Surfliner. 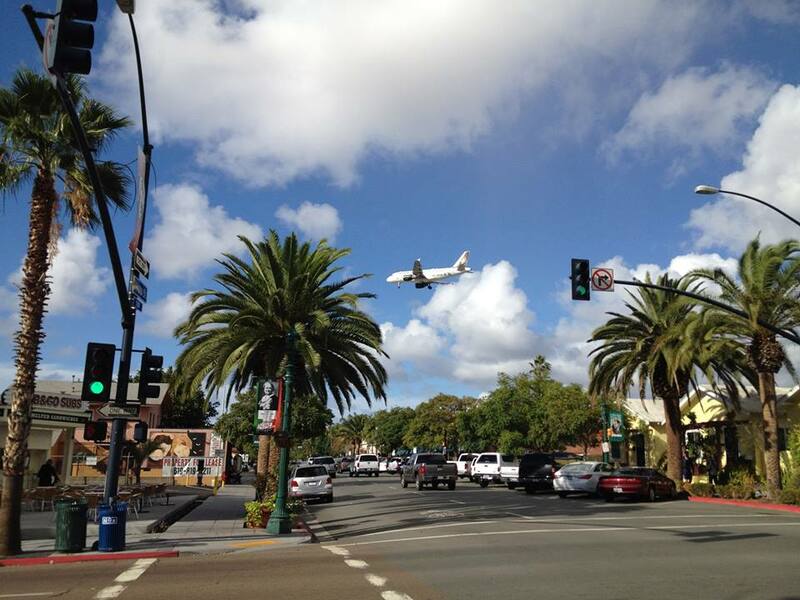 Just north of Little Italy is San Diego International Airport. 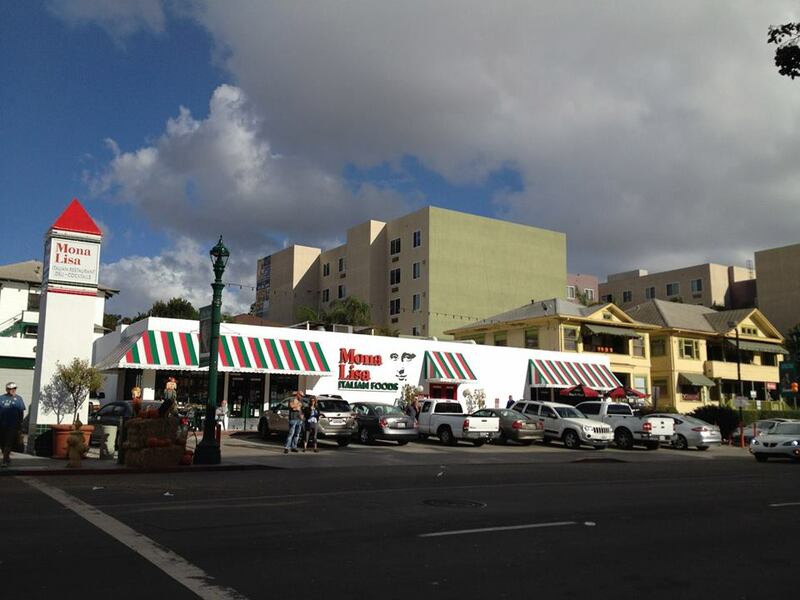 Little Italy is served locally by San Diego’s 83, 280, 290, 923, and 992 buses. The city also has a bike share program, DecoBike. 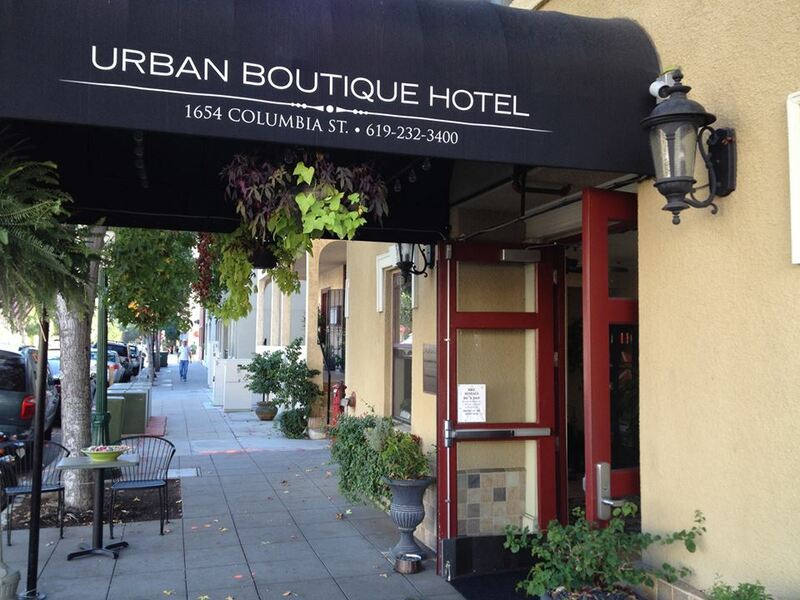 Given its location between the airport, the coast, and downtown, there are not surprisingly a few hotels, hostels, motels, vacation rentals, bed & breakfasts and other lodgings in Little Italy including Airport City Travelodge, Days Inn San Diego Airport Convention Center/Harbor View, Doubletree by Hilton San Diego Downtown, Hampton Inn San Diego-Downtown, Harborview Inn & Suites, Hotel Vyvant, The Italian Bed & Breakfast, ITH Adventure Hostel, La Pensione Hotel, Marina Inn and Suites, Motel 6 San Diego Airport, Pacific Inn and Suites, Porto Vista Hotel, R K Hostel, Residence Inn by Marriott-San Diego Downtown, Sunshine Suites At Little Italy, Urban Boutique Hotel, and The Wozzit. Having not seen the inside of any of them, I will make no claims about any of their quality. 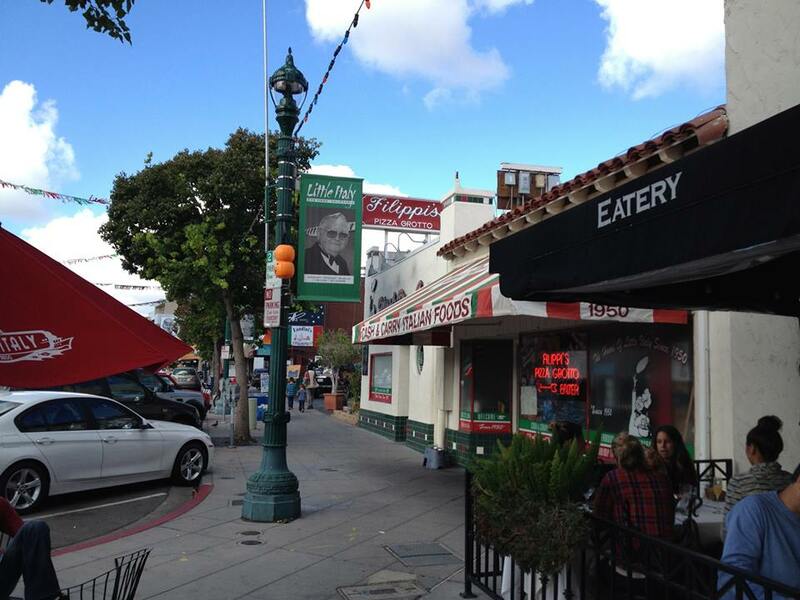 If you’d like to learn more about San Diego’s Little Italy, there are several books on the subject including Peter Corona’s Little Italy: The Way It Was, Kimber M. Quinney and Thomas J. Cesarini’s San Diego’s Little Italy, and Maria Desiderata Montana’s San Diego Italian Food: A Culinary History of Little Italy. 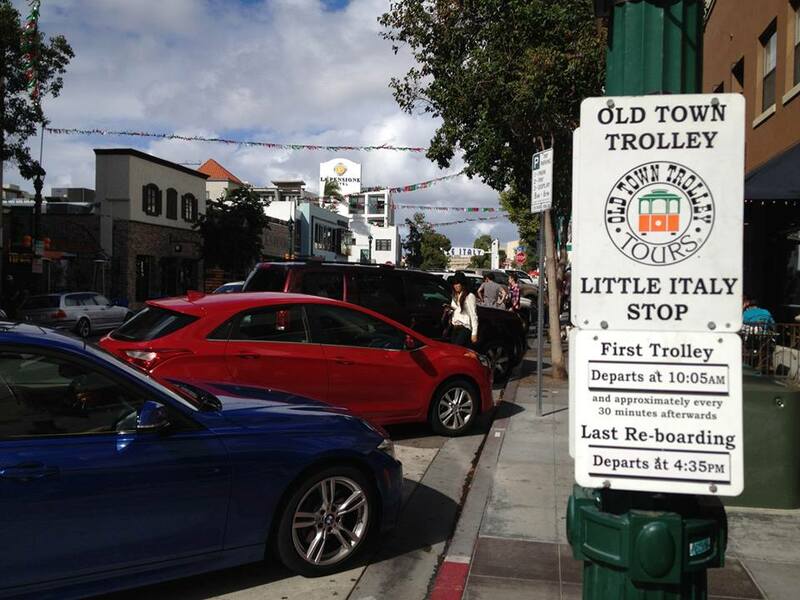 Anthony Davi, a San Diego-based writer, tour guide, and resident of Little Italy since the 1980s also leads Little Italy Tours.